The Iron Society has finally developed a matte finish clay! This clay/paste is great for styling shorter "wash and wear" type hairstyles. Apply a small amount to damp or dry hair for best results. This clay holds really well like a dry wax but also washes right out of your hair and works great as a top layer to even tone down real shiney pomades as well. I have had some success with combing the clay in to acheive a more classic look, or style with comb lines in it. However this is meant to have a Medium-Firm hold in looser hair styles. (think short and messy or looser pushed back looks). Ingredients: Water, Beeswax, Lanolin, PVP, Kaolin, PEG-8 Beeswax, Cetearyl Alcohol, Candellila Wax, Squaline Oil, Polyglyceryl Oleate, PEG-40 Hydrogenated Castor Oil, Petrolatum, Ceteareth-20, Fragrance oil, Essential Oil, Propylene Glycol, Sodium Chloride, Optiphen Plus, Cetyl Alcohol, Jojoba Oil. The Iron Society Old Fashioned Aromatic Aid is an alcohol free spray for a room and safe for the skin and body. Smells almost exactly like the original and firm formula. It can be used anywhere really, even to freshen up your hair when you don't need to apply more pomade but want to recharge the scent. Being that it is alcohol free, It is very hard to use too much of it so dont be afraid really let yourself have it. SHAKE VERY WELL BEFORE EVERY USE! The fragrance/essential oils do not mix with the water but will spray very evenly if shaken vigorously for a few seconds before each use. PRO TIP: Spray in the dryer before a load to add a nice warm zap to your clothing. Old Fashioned Mens Grooming Aid is a petroleum based pomade designed to keep your hair under control for that neat freshly combed look. Although not water soluble, a few good washes and you'll be ready for a fresh layer. Each jar of pomade is handmade right here at The Iron Society so there's no question of quality or craftsmanship - be easy, friend. Old Fashioned Mens Grooming Aid FIRM HOLD has the same great scent as the original but with a stronger grip. Great additional hold for those hot summer days or wildly out of control hair types. Also works great for flat tops and dryer 'wash and wear' looking hairstyles. The perfect combination to get you smelling sharp from head to toe. Save a few dollars by purchasing them together! 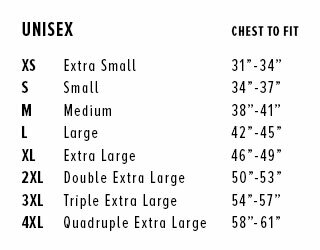 Please pick a size first. Great for scrubbing the hair or axle grease off. Sold in pairs. The Iron Society Water Soluble Pomade is finally here! With a medium-firm hold and a fresh yet musky fragrance this pomade holds great and functions best when applied to damp hair (especially curly or wavy hair types). Comb and style as desired. PRO TIP: Use either the Original Hold or Firm Hold as a base and apply the Water Soluble as touch ups or a top coat each following day. The Water Soluble will help soften up the petroleum pomades making them MUCH easier to wash out. INGREDIENTS:Water (Aqua), Ceteareth-25, PEG-7 Glyceryl Cocoate, Glycerin, Fragrance (Parfum), PEG-40 Hydrogenated Castor Oil, Polysorbate-20, Phenoxyethanol, Caprylyl Glycol, Sorbic Acid, Caramel. The Iron Society Patches. 1.5" X 2.75"
New! The Iron Society tombstone logo shirt. Printed on a true black Bella Canvas 3001 blend t shirt. "model" is wearing a LARGE and is 6'3" 215 lbs... for reference. This is my favorite combination of pomades. Use an oil or wax based pomade as your base. Then touch up the style the following days with the water soluble. After a day or two of this, the ingredients in the water soluble will break down the oils and waxes in the traditional pomade and help wash the whole setup out of your hair, without flaking or looking clumpy while they are being used together. If you have been using this method, you can now save a few by bundling them together. Just select which Oil based pomade you would like to pair the Water Soluble with.